What are we doing? Why are we here? What is the need? Managers Blog: What are we doing? Why are we here? What is the need? Anyone who has filled out a funding application to the National lottery will be aware of the great importance they place on identifying need. They will not fund unless there is a very clear identification of the need that the funding will meet. On the face of it this sounds simple but then the doubts creep in and you begin to lose focus and panic. Is what we are doing actually meeting a need? What is that need? Is what you think of as a need actually a need? The need is we need some funding! Ok. After the initial panic you begin to review what you are doing and the core reasons you run a charity. 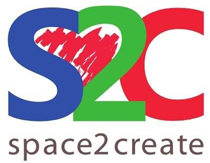 For Space2Create the heart of it is to support vulnerable adults recovering or coping with a long term mental or physical illness through creative activity. Ah! That actually isn’t a need. That is what we do to meet the need. So what needs does that encompass? To do this you almost have to put yourself into the shoes of the people who use the charity. Why are they there? What do they get from coming? When I started thinking about Space2Create in these terms I found that there were three distinct blocks of need: Those of service users; Those of other organisations and groups; Those of volunteers. So I ended up with a very long list of needs in three groups! For service users it was things like the need to have a safe place to go, to be in a supportive social group to regain social skills, to experience small achievements to build shattered confidence, to rebuild their destroyed self-esteem, to feel valued and cared about and so on. For groups it was things like having a suitable safe space for their service users, to have a cheap affordable space so they could run the group at all, to have disabled access and facilities and so on. For volunteers it was about reducing their own isolation, gaining new skills to enable them to develop, having experience so they could be more employable. What you end up with is a massive list of identified needs! That process is worth going through for anybody who is doing charitable work because actually it is quite humbling and moving. When you dig beneath the obvious and question what the actual effect you are having on people’s lives by the service you provide is, it justifies the time, effort, frustration and battles you fight to make it happen. The only problem now is that the box on the application form is for 150 words and I have about 1000! Just a reminder that as Get Creative Champions we will be opening the Unit to all with an exhibition and printmaking workshop on 2nd April for the BBC Get Creative Day. A really enjoyable session today as the group made use of our map stash. We were looking at the maps to cut out section to collage and make animals. With an animal in mind we looked for shales and colours to make them. The end results were great. Great session as the group put the finishing touches to their collaboration e play for yarn in the yards. Caroline from Kendal Theatre popped in again with some very much appreciated advice. Look forward to it being performed. Green Doors, long walks and creative champions! Green Doors and long walks! In recent months I have often talked about how S2C relies on the generosity of the local community in supporting what we do in terms of donating, volunteering, visiting exhibitions and promoting S2C. Once again in the last few weeks we have been fortunate to be on the receiving end of that generosity. Firstly the Green Door Artists recently held their annual auction where members donate pictures to sell and raise money. This year they wanted to give S2C a share of the money raised. There were a lot of people at Burgandys for the auction with a wide range of brilliant artwork up for grabs. In the end around £1200 was raised through the auction with half coming to S2C. Thank you once more to the Green Door and the artists who contributed their artwork. On the page go to the bottom where there is a box, type in ‘Zoe Baker’ and a number appears, if you click on this it takes you to a page where you can donate and shows the current amount sponsored. Please support Zoe doing this fantastic and generous fundraiser on our behalf. In just a few weeks (April 2nd and 3rd) it will be another Factory Open Weekend and of course once again S2C will open its doors. This time however there is an extra twist. As well as the Scar exhibition we will be fulfilling our role as BBC Get Creative Champions. On the Saturday between 12 and 4pm our resident Print Guru Kevin Hankey will be running drop in printing sessions. All memebers of the family can call in and have a go at a wide range of printing techniques including balloon printing, mono printing, colourgraphs and dry point. All free and all good fun. As well as S2C all the other studios will be open to see the artistand makers showing off their work and skills. Sculptor Danny Clahane in Unit 18B is running have a go stone carving sessions! In Artspace 26A there is an exhibition of work by all the artists at the Factory. So come along and see, buy and make some art. The group looked at the idea of abstract landscapes. We talked about using unexpected colours, not trying to be accurate by just giving a sense of shapes and colours. We then had a go in acrylic. We had some good results which were abstract. Then we went even more abstract and used just the colours. The group was joined by Caroline from Yarn In The Yards to help with play writing. The group are collaborating on a play for the event and were very grateful for Caroline’s advice. The play was planned out and individuals took on writing different scenes. Deadline is creeping up! An eggcellent session as the group started decorating eggs in a variety of ways. Some also finished off their towel mats. The DeafArt Group had St Patrick’s day on their minds for the session this week. S2C recently applied to the Ordinance Survey for maps they were giving out to groups. We received a large box we have creative plans for. When se looked through we picked out plastic coated and damaged ones for cutting up. Today we cut out two or three small pieces from different maps, stuck them down and created new maps of imaginary places by li king roads etc. Good fun. Just as you settle down to the weekend you get a call from the Unit, “The boilers blown up!” This was not a reference to a particularly volatile staff member losing their rag but the demise of an essential part of the S2C team. The hot water boiler used to supply a continuous stream of hot water for drinks had decided enough was enough. A spectacular end in a cloud of electrical smoke and melting control panel. Nobody came to any harm fortunately and there were no dramatic fires. On first glance this seems a minor thing. However when you think that over 100 people pass through the unit for various sessions all wanting drinks it suddenly becomes a bit more significant. The amount of ordinary kettle boiling needed to provide equivalent amounts of hot water is going to send the meter spinning into orbit! Of course it is now out of warranty (will be on phone to complain!). This all sets me thinking about the importance of drinks to Space2Create. We create, but that creativity is done in a very relaxed, fun, social environment. That is very much fuelled by coffee (other preffered beverages are available). Talk is such a powerful tool to end isolation. Being part of a group and just being free to chat, safe in the knowledge that the people in the room will not be judging you because of the illness you bring with you. You could not have the conversations that go one over a painting at S2C in a coffee shop. It is so important that people faced with overwhelming issues in their lives can have that space they can just be free of fear, stigma, judgement, pressure. If anyone can help us with getting a new hot water boiler then we would appreciate it as they are expensive kit to buy. The group went all abstract today, looking at using colours and inspired by Kandinsky to some degree. We looked at using areas of colours, so different shades of red etc, but then the adjacent colours encroaching as shapes. A busy fun session with lots of projects. Some carried on with their towel based rugs and pots. Some were decorating eggs and making egg cups. Some were making small bird broaches. The DeafArt group today were making Easter cards. They all took them away before we had chance to take pics! A good session led by Karen Lloyd. We were continuing to work on material for a one off book project with Kendal as its theme. The group wrote poems about flying over Kendal, Serpantine Wood and the yards. On the ward the group worked on drawing, collaging and painting eggs and a wide variety of egg cups, in a wide range of different styles. It was a very relaxed and enjoyable session, where we set up the materials and let everyone get on with their own interpretation of the egg idea. This session was inspired by Batman! We looked at the comic captions used during the 60’s series fight scenes. Some almost have a pop art quality. We then looked to use words to create captions that related to how we were feeling, mental health, things we did to help us. It was a fun and creative session. One of the most essential resources of any charity is the people. The volunteers and staff that keep a charity going and sharing their skills to benefit the vulnerable in our society. This however causes some very big headaches, especially for smaller charities. You can attract some brilliant volunteers. Keeping them is another matter. Volunteering is something that many people do but seems to be done at either end of our lives or during life changing times. First there are the young, looking to develop skills and make decisions about their future. At Space2Create we have had some excellent young people helping us. Of course, you just get them trained and working well when they move on, to university or into employment. Don’t get me wrong, this is what we expect and we are very grateful for their support. The older generation bring a life of experience and skill to the charity. Often after retiring people need to find ways to occupy their time and still feel useful. They bring valuable experience with them. However again, the demands that can be made of them due to other commitments, family, poor health or just the time they can give means they too move on or are limited as to what they do. In the middle are those who are in a period of change. Recovering from illness, families that are growing up, divorce, job loss or redundancy. Volunteering is a way to keep involved, find space to decide a next move. Again we have volunteers like this. Of course, as is right, they find a new path in life and move on. This is what we want andoften we feel part of our role is not just dealing with those who are clearly vulnerable but also those who need a bit of something to help them through a sticky patch. Volunteering does that for them. All this is great and volunteering is essential but it leaves us as a small charity with one problem. It is always a revolving door of people passing through. You cannot plan too far ahead or commit to far in advance as you don’t know what the people you have will be or what skills they can give. I am writing this because I find myself in that bracket. Recovering from serious illness and still coping with health problems, running Space2Create has been a bit of a life saver for me. It has grown my confidence and allowed me to find ways of working so that I can work around my illness. I do what I do for S2C voluntarily. To pay me or somebody else to do the job I do at S2C would cost between £16-20,000 a year, maybe more. This is the dilemma a charity faces. When the whole cost of running the organisation is around £15,000 a year by just employing one person you double the costs. The group created some more artwork for our little book project on Kendal. We were inspired by Jamie Barnes drawings. Using fine liners the group drew various buildings in Kendal in different arrangements. All looked very effective. The group were working on all sorts of projects. Some carried on with mats made from towels though some are becoming bowls! Claire was working on her Kendal picture, making egg decorations and a house template while Polly was making one of her beautiful fabric pictures. The DeafArt Group were having fun with makeup today creating the illusion they had a hole in their hands. By first drawing a picture and cutting out a circle of it. Then using theatrical make up to look like a wound. Finally sitting the circle cut out on the hand so it looked like you could see the picture through the hole. Good fun. A very relaxed and enjoyable session. We took the theme of spirals and created a whole range of different pictures. All sorts of media and ideas came up.